In the 30-something years since reality television has been on the air, it’s main hallmark is shooting documentary-style on single cameras. Times have changed. This is how the medium began — since it is far more cost effective to use news-style crews to shoot entertainment programming than more traditional means. Today, however, with the multiplication of hundreds of cable channels and the high ratings of some reality shows, that line is being blurred. 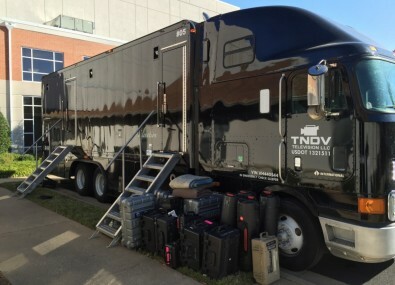 For the first time, TNDV, a mobile multi-camera truck facilities company based in Nashville, has been hired to bring its big mobile rigs to do episodes of cable network reality shows. The two shows — 19 Kids and Counting on TLC and The Real Housewives of Atlanta on Bravo — did high-profile episodes using TNDV’s trucks. The reason is each show had to record major public events that had outgrown the ability of single documentary-style camera crews to capture the action. Both shows are among the highest rated on their networks. TNDV truck control room, shooting 19 Kids and Counting for TLC. For 19 Kids and Counting, the episode was a wedding of one of the kids featured on the show. The show is about the Duggar family, which consists of parents Jim Bob and Michelle Duggar and their 19 children — nine girls and ten boys (including two sets of twins), all of whose names begin with the letter "J." Since the show began in 2008, three of the children have gotten married, with the oldest raising three of his own. The Duggars are devout Independent Baptists and adherents of the Christian patriarchy movement. Instead of dating, the children practice chaperoned courtship, which encompasses the couple abstaining from any physical contact. In the event of engagement, the suitor seeks permission from the young woman’s father before proposing to her. The show is genuine reality in every way. Every member of the cast is part of the family and there are no professional actors. The producers suggest scenarios for scenes, but all the dialog is ad-libbed. The Duggars live in Tontitown, Arkansas, where the wedding of the daughter, Jill, took place. TNDV used Elevation, it’s newest truck, for the wedding and worked with the show’s three primary ENG crews from Figure 8 Films, based in Carrboro, North Carolina. In addition to the wedding, TNDV did a second episode as well, using its Inspiration truck. Load-in for the production of 19 Kids and Counting. For that reason, Dugger said, the crews treated the shoot like a real wedding — not a television show. The crews got one shot at the wedding and retakes were not allowed. TNDV used eleven Hitachi SK-HD1000 cameras in addition to the three from Figure 8 Films. All cameras were linked together via SMPTE timecode. Each of the eight people in the wedding party wore a Lectrosonic or Shure UHF-R wireless microphone. Six mics covered the church for ambience sound. Every audio input from the church’s front of house sound system was split and fed to the truck’s Soundcraft Vi3000 digital audio console. A separate backup of individual channels was recorded on an Avid Pro Tools system. Overall, there were 40 microphones covering the wedding. Nic Dugger president and owner of TNDV. 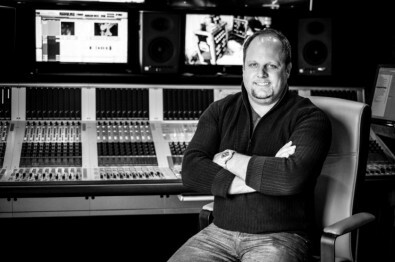 Behind him is a Soundcraft Vi3000 digital audio console mounted in TNDV's Elevation truck. The line cut, Dugger said, was given to People Magazine, who had bought exclusive rights to the wedding, as well as viewed by the producers and used for social media clips to promote the show. 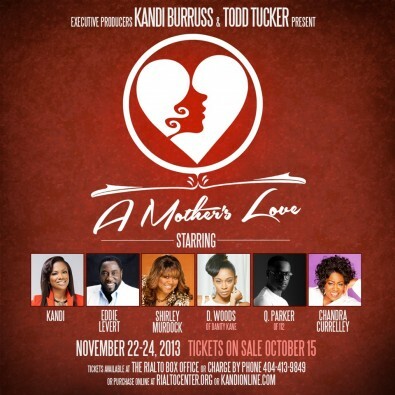 For The Real Housewives of Atlanta, a more traditionally produced reality show, the TNDV team documented the opening of “A Mother’s Love,” a new play written by Kandi Burress, one of the show’s principal stars. Using a similar multi-camera production model to the wedding, Dugger and his team captured the nervous energy — and ultimate success — of Burress and the rest of the cast as the live stage play came to life. A Mother’s Love,” a new play written by Kandi Burress, was recorded before a live Atlanta audience. 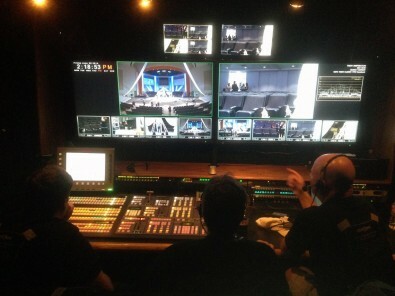 In this case, TNDV’s Inspiration truck was used at the Rialto Center for the Arts, an 833-seat performing-arts venue owned and operated by Georgia State University and located in the heart of the Fairlie-Poplar district in downtown Atlanta. For this production, Dugger’s crew taped the play before a live audience and did a full audio split. They used six cameras in addition to five documentary crews. The same equipment configuration was used as for the wedding. Full intercom communications between crew members, matching time code on all isolated camera feeds, 48 mic feeds (ten wireless mics from the performers on stage) and a line cut from the truck. In recording the stage version of "Housewives", Dugger’s crew used six cameras in addition to five documentary crews. Both reality shows, said Dugger, were an eye-opening, learning experience for him. “It was good to watch producers that normally work in a single camera environment use some tools they are not used to. When they get inside a truck, they realize what potential there is for their show. I love it when they get creative and their juices start flowing. They really get into it.